Status window and password prompt while connecting. Menu used to control OpenVPN. Balloon showed when the connection is established. Info showed while you are connected. Dialog used to override OpenVPN Proxy Settings. 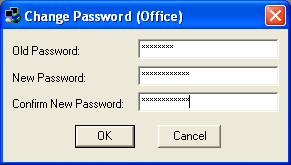 Dialog used to change password.